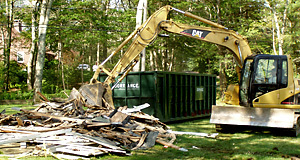 We have the equipment and expertise to remove any type of construction waste you might have. 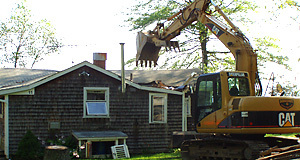 Let our experts take the stress out of removing debris such as lumber waste, roof shingles and any other type of construction waste getting in the way of you enjoying your home. And most importantly, all of the waste material is loaded into trucks or containers and properly recycled. We are fully insured and licensed, andalways follow the local permitting process before performing any job. Did you know that it is a Massachusetts law that construction materials be recycled at a licensed facility? We keep your project or jobsite cleared and ensure that all materials are appropriately processed. Dorrance Recycling is a member of the local, state and national home builders organizations and the Better Buisiness Bureau® and subscribes to and abides by their codes of ethics to ensure your satisfaction.